Just amazing, absolutely phenomenal, beautifully set with views that look surreal!!! 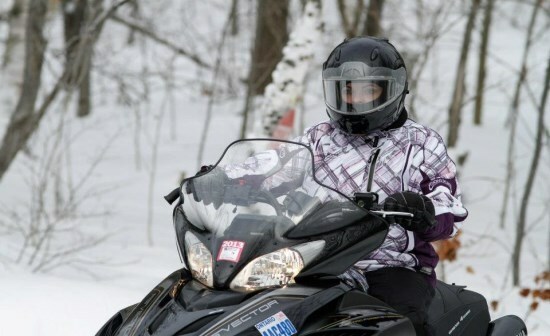 Yep, that’s what snowmobiling the Northern Ontario trails of district 12 in Sudbury, ON felt like to me. I once again had an amazing experience of a lifetime being able to partake in this adventure with GoRide Ontario. 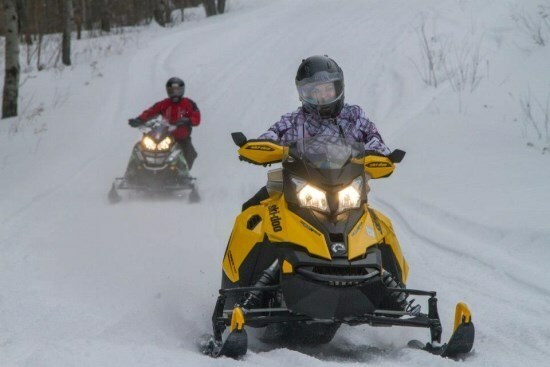 We started off staying at Chateau Guay Motel, and located right outside your door is, well of course, parking for your sleds and the OFSC trail across the street. How convenient is that?! I was well equipped with riding gear thanks to Choko Design, and for the stops along the way, I had my Slide’ Em gloves provided by Slide’ Em, they aid in easy navigation on any cellular device or tablet, whether you need a map or just want to send a picture to your friend, these really are great at keeping your hands warm and allowing you to type! I hadn’t rode in a few years and when I heard the roar of the engines and smell of the 2-stroke, it brought back so many happy memories of my childhood growing up with sleds. It really is like the good ole saying ‘it's like riding a bike, you never forget’. I started out riding an Arctic Cat 1100, thanks to our OFSC trail guide Chuck Breathat, and Sudbury Boat and Canoe. This machine can move! The trails were nicely groomed and I felt comfortable within minutes. 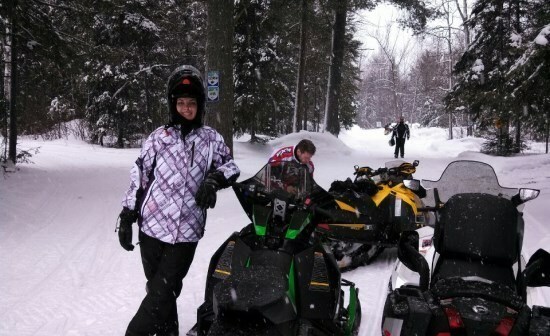 We sledded for a few hours and then fuelled our machines for more riding. There was exquisite scenery and snowflakes that looked so perfect; they seemed artificial as they fell to the ground. From there we sledded a few more hours and I felt as though I was in a fantasy movie, scenery that seemed fictitious. The snow covered trees that hung gently over the trails, the views of frozen lakes with mist amongst them as you ride along the hillside, and the fact that every stressful thought you may have had that day was just wiped away! We stopped for lunch at Rocky’s near Lake Wanapitei and then headed on the trails again. 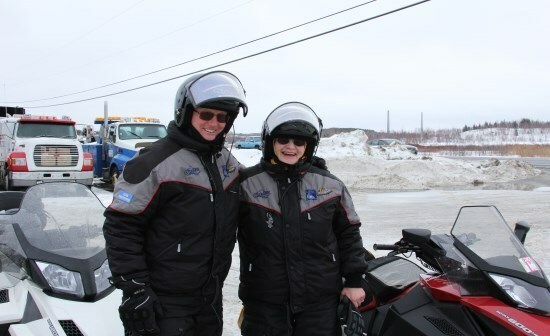 Our group was approximately 14 sled riders and OFSC family of the year Doreen and Bud Knowles. Talk about experienced riders, these two were hard to keep up with, and so much fun! We got back to Chateau Guay Motel and had a fabulous roasted chicken dinner. As I lay down on my pillow fed and full, I could not wait to get out on the OFSC trails for day two! 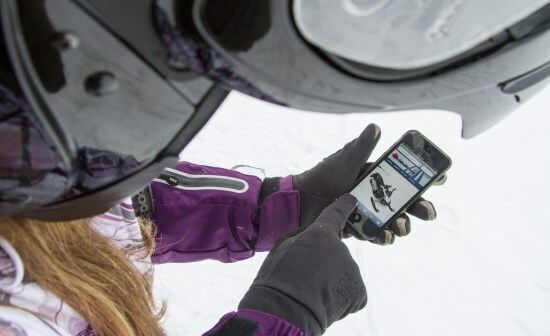 We trailered our sleds on day two to the Cartier Moose loop. I thought that I had seen all the beauty on these Northern Ontario OFSC trails, but once again I was blown away! I swear I could have stopped every five minutes to capture a breath-taking photo you would want to see. This day I was lucky enough to ride a Yamaha Vector, quality and comfort all in one, thanks to Snowgoer Television. Gliding through all the snow covered trees and riding over mini bridges, gosh I love nature! 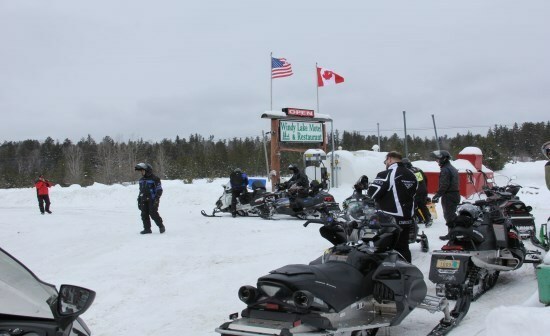 We stopped for lunch at Windy Lake Lodge and Restaurant where warm soup and sandwiches awaited us. We gassed up and then proceeded on our journey. This time I got to switch up and ride a Ski-doo MXZ TNT 800R, a very light and easily maneuverable machine. Loved the bright yellow colour it came in! We covered approximately 200km’s and then proceeded to Chateau Guay Hotel to prepare for our lunch at Curious Thymes located in the Science North Centre, Sudbury, ON. Homemade pumpkin soup and veggie lasagna was marvelous. 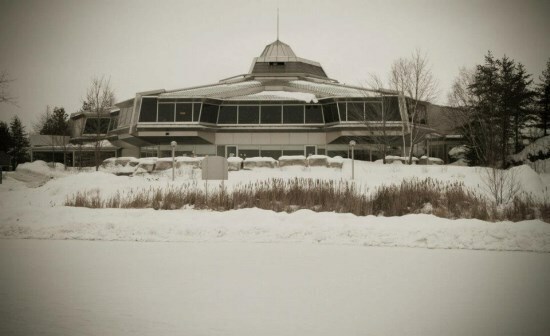 The third day we arose in excitement to be visiting the Science North Centre to see what they were all about! From holding a furry tarantula, walking with a porcupine, petting a snapping turtles shell to eating a worm, this day was absolutely awesome! I mean most places you can look at these creatures behind glass or cages, but this was certainly up close and personal. Loved it! 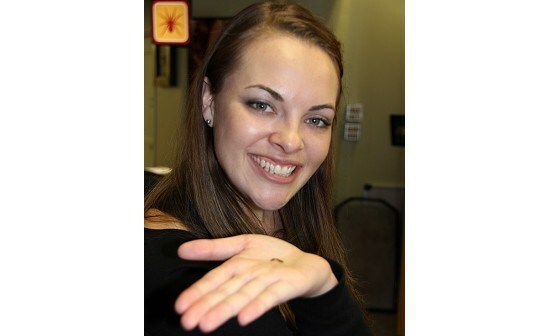 The staff was amazing and so intelligent, it is a lot of knowledge to take in at once, but so worth it. From there we trailered up and packed up our gear. It wasn’t goodbye though, it was see you all later and thanks for a blast! 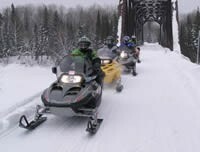 As I headed home down the long roads surrounded by huge evergreens and hillside I had a moment of sadness leaving, I can’t really explain it, but I can surely tell you that you will want to take this great Northern Ontario snowmobile trip, as it is definitely an adventure of pure bliss. 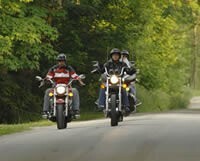 Just picture it, Gorideontario!